1) Saute garlic until light brown, followed by the onion and the sliced and boiled goat’s intestines. 2) Add the ginger, patis and magic sarap and continue sauteing until liquid is reduced or until intestines turn to light brown. 4) Add the boiled goat’s blood, water and salt, let it boil and simmer for 20-30 minutes. 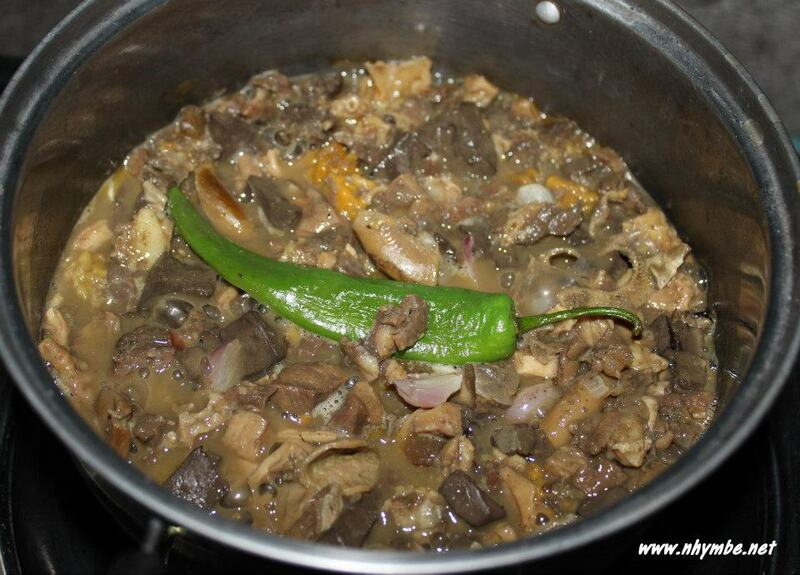 5) Add the papait and siling haba then simmer for 2-5 minutes. Taste it and add salt if necessary. 6) Ready to serve with steamed rice. This is best to eat when it’s hot.